Caitlyn’s Mum was a long time Balgowlah Physie girl and the minute Caitlyn was out of nappies she took her first physie lesson at Balgowlah Physie Club. She had great success as a junior, placing three times at Nationals, before her family moved to New Zealand. Caitlyn says she also learned some important life lessons during her junior years – about dealing with disappointment and showing true sportsmanship. At 8 years old, she realised Physie was all about dancing for the fun of it. In 2013, when Caitlyn returned to Sydney to live on her own, the first thing she did was re-join Balgowlah Physie Club. Caitlyn says Balgowlah Physie was a place she felt at home and was able to reconnect with friends and teachers and felt close to her Mum, even though she was back in Auckland. Caitlyn worked very hard at her Physie over the next four years and was rewarded with the 21-22 years national title in 2017. It was a special moment for Balgowlah Physie Club, as it was the first Opera House Senior Cup in the club for 17 years. Kristy started Physie when she was 6 years old on the Central Coast and competed every year until she was 22 years. Then in 1997 she moved to Sydney to complete a University Dance Degree and decided to “hang up her leotard” and continue her professional dance career. In 2012, a friend added Kristy to the Facebook Physie Chat, and whilst scrolling through the posts she was reminded about how much fun Physie was and it sparked her interest to come back to Physie. 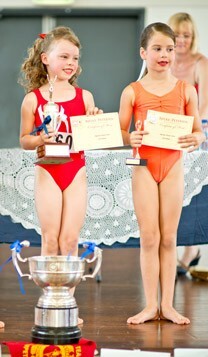 Kristy was eligible to enter the BJP Novice Ladies competition as she had been out of the sport for more than 15 years. Kristy’s natural talent was obvious when she was awarded the National Novice Ladies Champion in 2012, 2013 & then the National Intermediate Ladies Champion 2014 – 2016. Kristy is currently the Studio Director of her own dance company, which she established in 2010. Jasmine comes from a family of 3 generations of Physie girls. Jasmine’s grandmother did Physie as a child at Rosebay in the 1950s and her mother has done Physie her whole life. Jasmine began Physie at 3 years old at the Balgowlah Club in the tinies class and loved it from day one. She moved overseas with her family in 2008 and 2009 and missed her Physie terribly. When she returned to Australia in 2010 she worked very hard to regain her Physie skills. She was aptly rewarded for her hard work when she won the National title the following year. Jasmine lives in Forestville and currently attends Roseville College. She plays the piano and loves gymnastics and skiing. Lacey is an outstanding representative of the Balgowlah Physie club. 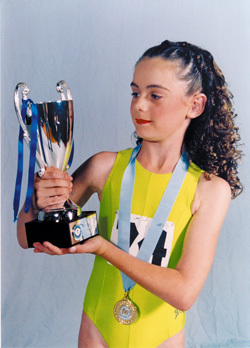 She began with the club at just 2 years old and placed every year at junior zone competitions. Lacey has been a National Finalist 8 times and the club was so proud of her when she was named the National 13 year Grand Champion Girl in 2011. Lacey lives in Curl Curl and attends Freshwater Senior Campus. She enjoys netball, snow boarding, jazz and contemporary. Lacey teaches our tinies class and is the assistant teacher in our 5-8 years classes. She is a highly valued member of our club. Yvette started Physie when she was 4 years old at the Pymble Club and joined Balgowlah club at the age of 6 when her Mum began teaching the juniors at the Club. She loved being involved in a wide variety of sports during her school years. Yvette has always enjoyed the social side of Physie and has made some lifelong friends through the experience. She placed at Nationals in the 10 Years and was an Opera House finalist in the 1st Years and 2nd Years, before taking a break from Physie. Following her HSC, Yvette studied at The University of NSW and UNC in America where she completed her Bachelor of Arts & Communications. When she returned to Physie into the Ladies, she was placed 2nd at Nationals in 2009 and went on to become the Under 33 Years National Champion the following year. Yvette is presently working in the media industry in London but hopes to get back to the Balgowlah Ladies class on her return. Emma enjoyed Physie from the moment she started, as a 6 year old at the Balgowlah Club. She quickly formed fantastic friendships with the girls in her age group, even though they are all from different schools in the area. The girls are very supportive of each other and love catching up each week at class, as well as outside of Physie. Normally a rather reserved child, Physie has helped Emma’s confidence enormously. She started Physie as her Mum thought she could try something that she loved herself as a child, and had fond memories growing up doing Physie with her own Mum and cousins. Emma’s natural talent was very obvious from the outset – she made Nationals in her first 2 years of competing, in the 6 and 7 years and then the following year was named the 8 Year National Champion. The consistent effort she put into her Physie in those first 3 years paid off! Balgowlah Club had not had a junior champion for 11 years, so it was an outstanding achievement and a time of celebration!